Well, technically we hit 6,002 nm on Starry Horizons as we pulled into Regatta Pointe Marina but that doesn’t roll off the tongue quite as well, so for the purpose of this post, we will round down slightly. 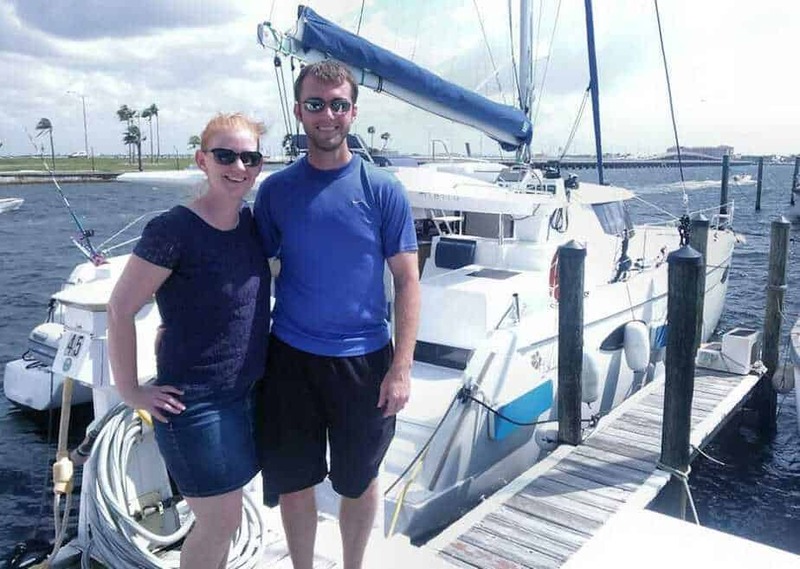 There are others out there with more experience on their Helias, but after picking up our boat in France and sailing all the way to Florida, I finally feel qualified enough to share my thoughts. So buckle up kids, this is the post for those of you who are interested in some of the more intimate details about our boat. Sailing: Overall, I enjoyed sailing the Helia. The few times we got on a good beam reach in calm seas, she took off. We haven’t done too much upwind sailing yet, but downwind was easy, comfortable and relatively quick! Construction: This boat is well built and you can tell. We had some pretty decent winds during our passages and at no time did I ever fear that the boat couldn’t handle things. We were very cautious with our sail plan which helped, but this boat is solid. It’s not an Antares so don’t expect perfect finishing everywhere, but she’s got it where it counts. The Helm: This space is going to get even better with the hardtop we’re having custom made, but the positioning of the helm is great. The person on watch can still be social with others if they’re in the cockpit or even in the galley. When it’s just the two of us for long passages, ease of social interaction makes a difference. Visibility is also good, with the sole exception being the port aft portion of the boat. The Space: I’ve heard the term “condomaran” used in derogatory term, but personally I think those people are just jealous. We love how much liveable space we have on the boat. Our master stateroom is huge, the galley (almost) has enough space for all the items Amy wants and if the salon and cockpit start to feel restrictive (can’t see how this would happen), we can just hop up to the lounge deck and enjoy even more open spaces. Interior Navigation Station: Others have varying opinions, but we really liked having a place inside the boat we could set up a dedicated laptop to download weather reports, send/receive emails, and use our charting programs. We also kept our log book here and had easy access to information to update it. It would be nice if it had a backrest, but we just used one of the cushions from the salon to make a temporary backrest. Wire Runs: Other boats do it better I’m sure, but I’ve been relatively pleased with the easy access to wire runs inside the boat. Outside the boat for our solar panels was a bit of a different story, but overall we’ve been able to figure out how to get our wires run. Engine Power: We chose to upgrade to the 55hp Volvos and we’re glad we did. They give us lots of power and with the Flexofold props that we had Uchimata install, we’ve felt pretty comfortable maneuvering the boat around the dock, even in decent winds. As an added plus, there is a decent amount of space in the engine compartments so getting down there to work on things hasn’t required me to do my best Russian gymnast impression. Raymarine Electronics: Four of the five boats in Amy’s fleet had Raymarine electronics, so we had a pretty good familiarity with them, but the system we installed on Starry Horizons works very well. Our plotter had it’s own wifi network and we could connect our iphones/ipads and see/control the system. This led to much greater peace of mind when you could wake up, check your iphone and see how things were going. And our autopilot worked flawlessly during the crossing. Vesper AIS: Another custom thing we had Uchimata install, but our Vesper AIS was a godsend during our passages. In fact we liked it so much that I now say it should be on someone’s “must install” list if they want to go cruising. Equipment Quality: In general, the quality of the important equipment from the factory is good. We have a Victron inverter/charger, Volvo engines, Onan Generator, and CruisAir Air Conditioners all from the factory. If we were building the boat ourselves, it’d be tough to do much better. Her Looks: Superficial? Probably, but I don’t care. I still think the Helia is one of the best looking cats out there. Dinghy Davits: FP raised the davits from the first Helias to ours, but in my opinion, they’re still not high enough. We took our outboard off and stored it in the generator locker so we could try and pull the dinghy as high as we could but waves still touched the bottom of the dinghy! We are reworking the bridle for our dinghy so that we’ll be able to pull it even higher and hopefully keep the outboard on as well, but a better davit design would make all that work unnecessary. Bridgedeck Clearance: One of the biggest surprises for us was how much slamming and wave slapping we experienced. Slapping against the hulls is a bit easier to understand, but the amount of slamming was unpleasant and unexpected. Starry Horizons is well equipped (meaning heavy!) but this was disappointing. Trampoline: Another personal preference, but both Amy and I think the factory trampoline is quite uncomfortable to lay on, and I dislike how “springy” it is. I never felt like I had good footing when I went forward while underway. This is being replaced while we’re here in the US. Everything is in French: While this is understandable for a French boat, it can be very frustrating trying to map out electrical wiring when everything is labeled in French! Instead of a dedicated winch, there is a block along the toe rail to take the line back up to a winch at the helm. This makes moving around the helm difficult and blocks off the deck. Not ideal! Since we also used the aft winch for our boom preventer and a sheet we rigged up to an outboard jib lead, it got a lot of use. We’re going to be reworking the winches to add one to the starboard side. However, FP didn’t design for this possibility and the headliner in the owners cabin is flush up to the deck, meaning we’ll need to do some creative re-design. On the port side, they dropped the headliner down to accommodate the bolts for the winch. Reefing: I really dislike having to go to the mast for anything while underway. We went with the “automatic” first reef, which is really just a single line reef, but the other two reefs have lines that go up the leech of the sail but require you to go pull a webbing strap through a grommet and into a snap shackle on the mast in order to secure the tack. It’s not so fun to pull this strap through when the boat is slamming into large waves! We’re going to try and move to a single line reef for our 2nd reef and will be removing our 3rd reef as if the winds are that high, we’re just going to be taking down our mainsail. Chain size: The Helia comes from the factory with 1/2″ chain. I didn’t quite realize just how big this is and how much it weights and went ahead and ordered 300′ of it in preparation for some of the anchoring in deep water we’ll be doing. The bow of the boat immediately sunk down! We’re going to swapping out our windlass gypsy and chain to Acco G4 5/16″ chain. This will save us almost 600 pounds of weight! Speaking of which… anyone need 300′ of 1/2″ galvanized anchor chain? Please?? Cleats: During a wild day in Las Palmas when Starry Horizons was jerking forward and back thanks to the wind and swell, we managed to bend a cleat. We’ve had several people tell us they’d never seen that before. In addition, our stern cleats were starting to come loose by the time we arrived in the States. We had large backing plates made to help reinforce things and hopefully prevent those type of issues in the future. Automatic Bilge Pumps: I tested out our bilge pumps by blocking off one compartment and filling it with water. I was quite dismayed at how much water (several inches) was required before the pumps kicked on. And since the bilges are all connected, it would take a lot of water in the bilge before they activated automatically. The pumps are activated by air pressure sensitive Rule Eco Switches, but as I looked up the installation diagrams, they are not installed correctly. The lines leading from the “cup” to the switch are not straight as they have to run throughout the compartment. These sensors may be a good idea, but it’s a bad execution. Mainsail: I know I’m not the best sailor in the world, but I’m not truly incompetent either. However, I could not figure out how to get the mainsail down easily in anything over 10/15 knots of wind. It would “billow” out, catch the wind and refuse to come down, requiring me to go the the mast and manually pull it down. Doing this was the most scared I felt on the boat and thanks to our boat guru Pat, we rigged a downhaul to help us cross the Atlantic which worked well. There are no intermediate cars on the mainsail from the factory. I have never sailed another boat like this and it means that the distance from the cars on the sail (where the battens are) ranges from about 11-14 feet! When the sail drops, having this much distance from the cars leads to the billowing effect and prevents the sail from coming down. Friction. The factory supplied main halyard is a 14mm line and is rigged with a 2:1 purchase. The stopper used for the halyard is rated at a max 14mm and halyard rubs against the sides of the entrance into the mast. As the weight of the sail aloft decreases as the sail falls, the remaining weight of the sail isn’t enough to overcome the friction in the system. In my mind, this is the absolute #1 negative of the Helia and in spite of seeing assurances sent by FP to other owners that the factory setup works and that it was tested out by riggers, my practical experience has led me to strongly disagree. I believe that most Helias are going into charter and thus are being used in relatively calmer conditions where it may not be a big deal to go forward and help the mainsail down, but for serious cruising it is unacceptable. To remedy, we’re adding 4 additional intermediate cars, which of course necessitated the modification of our stack pack, as well as upgrading our main halyard to an 11mm T900 line. Just running the line through the stopper, you can feel how much less friction there is! We’re also contemplating getting rid of the 2:1 halyard if the new setup still doesn’t work the way we want it. Navigation Lights: FP may have changed this, but they did not offer a tri-color light at the top of the mast as a factory option. In big seas, there is no way that another ship is going to easily see the deck level navigation lights! On a boat this size, I believe a tri color should be standard. In addition, the stern light is located inside the cockpit! When using the nav lights at night (when else would you really use them??) it lit up the whole cockpit. And in case you haven’t done a lot of night sailing before, this is not a good thing as it really messes with your night vision. We ended up adding a tricolor light and are going to move the stern light to the end of the davits. Running Rigging: This was a debatable one to put in this category, but the fact that all winches and stoppers are rated for a max 14mm line and the factory genoa sheets are 16mm lines pushes it over the edge. I had wondered why it was difficult to get the genoa sheets into the winches and finally figured out why when doing research on the Harken winches we have. In general the rigging on the boat is pretty low quality and we’re working on replacing it. The fact that the owner’s manual lists the main halyard at 55m/180ish’ when in reality it is about 63m/207ish’ (discovered after running the new halyard through the mast!) also helps push running rigging into this category. Overall, we’re satisfied with our choice of a boat. There are a lot of things that FP does well and most of the things we didn’t love about the boat are fixable. We’re going above and beyond by doing some pretty extensive outfitting to make the boat even more awesome and I’m pretty comfortable saying that by the time we’re finished, she’ll be the most customized Helia in the world. At the end of the day, we still believe that she will be able to take us safely around the world and in a decent level of comfort, which is what matters most. Just a quick question on the Helia 44. Are the engine compartments water tight/sealed to the cabins? 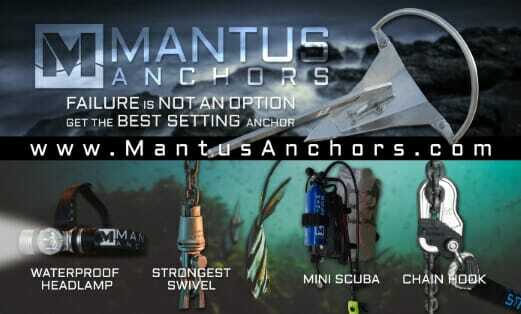 If you have seen of the blog post on SV Amazing Marvin after they hit and sailed into a fishing trap structure you will understand the basis for the question. Sorry for the delay in reply. I don’t get on the blog much these days. 🙂 The engine compartments on a Helia are not completely sealed. There are conduits that run into the engine rooms that would funnel water into other parts of the boat. However, these conduits are quite high up in the compartments. It would take a pretty big leak for the water levels to get that high and if it did happen the boat would likely already be dead in the water as the house batteries and other electrical components are located in the engine compartments lower than the conduits. Any boat is a combination of compromises and while I don’t believe the FP set up is ideal, I also think the odds of us experiencing a similar situation to SV Amazing Marvin are pretty minimal. An honest account of your boat. Thanks! I have so much to read up on. I wish you fair winds! Signed the contract this week for the May 2018 delivery of a Helia in La Rochelle and then Karen found your blog! Never mind, we would still have gone with the Helia but all your hands on experience and tips will be really helpful. We’re going to enjoy following your travels. Thanks guys! Congrats on your new Helia and feel free to drop us a line if you have any questions. We are just closing on the purchase of a cat, and a couple of mods you did interest me… One is the Fresh water flush, how well has that worked out… The other is the ability to use 220V and 120V input, have you found this useful? Sorry for the delay. The fresh water flush has worked well. It definitely seems to help minimize smells. It does use up a bit of water though, so I’m quite glad that we have a large capacity water maker to top up the tanks quickly. One mod I saw on another boat that I thought was really interesting, was someone put in a T-fitting at the salt water intake for their head so that they could pull vinegar through the entire system. He said it really helped with the smells as well. And so far we haven’t had a whole lot of occasion to use our frequency converter (which is what I assume you mean by the 220 and 120v input) as we haven’t spent a whole lot of time in marinas using shore power that isn’t US style power. This will change soon when we get to New Zealand. However, the big reason we got the frequency converter was I was concerned about the air con units not being able to run at 50hz (US standard is 60Hz which is what SH is wired at) but when we got onboard, the air con units are actually labeled as being “derated” at 50hz. So they will still run. I guess a lot depends on what you plan on using the boat for, cause while I’m glad we have the system, I’m not sure I’d do it again. Dave I appreciate your candor on your boat. I have been debating over the last year whether to buy a new or lightly used cruising cat, or taking a design and modifying for my purpose and having one custom made.It seems to me that a few corners were cut in the name of profit. Would you change these items that gave you problems if you ordered another one to day or just upgrade as you have in this case? Would you have the factory install the equipment you had out sourced or is that even possible? Thanks for your videos. FP will only install items on their options list. Anything else is an after market addition and will be your problem. Amy and Dave, Enjoying your site very much. We’re two years behind you so taking copious notes. Ref you decision on the chain, do you notice a difference in anchoring with the lighter chain? Thank you. We have no trouble with our anchor dragging. We are very pleased that we went with the lighter chain. Estelle, my name is Floyd Bright and I am a total know-nothing when it comes to sailing. David and Amy unkowningly got me hooked, especially on cats. I really like your reposting their comments about the Helia. I would strongly suggest that you might send to some brokers who have a good youtube channel. I am really thinking of Wiley Sharp of Denison. In my uneducated opinion he seems to be an up front guy and the more people like him that can influence FP the better, in my management related background. Thanks for listening. Great write up on the boat – very fair. I was concerned about the bridgedeck clearance on this and the Saba 50 (which is probably out of reach for us). Thanks for taking the time to share this. Hi Joe. Glad you found the write up helpful. At some point, I’m going to do a follow up as well. One thing I will mention is that we’ve had much less issues with slamming since we evened out the weight distribution of the boat. Swapping out the 1/2″ anchor chain for 3/8″ and keeping the dinghy engine aft has made a big difference. BDC or Bridge Deck Clearance. The higher the better, less “thumping”, especially for offshore bluewater passages. You don’t want to go too high as height will create more windage and reduces stability and induces pitching. So, most marine engineers have determined a good compromise and recommend a Minimum Bridge Deck Clearance (MBDC) of between 5% and 6% of the LOA (Length OverAll) of the catamaran. Note, that’s LOA and NOT LWL (Load Waterline Length or Length Waterline). My recollection is that a minimum multiplier of .7 is usually used, so for 50ft the MBDC would be around 35″. Also, If the vessel has a wide beam (greater than one half the LOA), additional bridgedeck clearance is needed so an alternate formula is used. SBH = Beam – (HW x2), SBH = 25 ft – (5.5 ft x2), SBH = 25 ft – 11 ft, SBH = 14ft = 14 x 12 = 168″. Note: using the LOA formula we would have determined a MBDC as being 32.4″ (45 x .72), so the wider beam required an additional 1.2 inches of clearance. Note: A lower MBDC is OK with a Beam that is LESS than one half the LOA, some older cats do this. Obviously the closer the hulls are to each other the more the boat will act like a monohull and tend to pitch more. I hope Iam not butting in on something I know little or nothing about. Well, that certainly is technical! 🙂 I can’t comment too much on all the math since, to be honest, it’s not a subject I’ve ever talked about in depth with a marine architect. However, what I can say is that Starry Horizons has behaved MUCH better ever since we reduced the amount of weight up forward (mostly through downsizing the anchor chain). We will occasionally still experience a ‘slam’ in big seas, but it’s no where near as bad as it was crossing the Atlantic. First, I just want to let you know how much I have enjoyed your blog and the information you have provided is extremely helpful as we consider our next boat purchase. Now that you have surpassed the 10K NM mark with a few more ocean passages under your belt, it would be great to have your current perspective on the FP 44. You have mentioned several times your unhappiness with the amount of wave action against the bridge deck. Is this still a concern for you or has the reduction of weight in the bow made a difference? Do you feel that this is something specific to the FP 44 or will it be the case for all heavier cruising catamarans? Bottom line, based on your experiences and compared to other catamarans you have seen, would you purchase the FP 44 again or would you consider something else? What are the three things about the FP 44 you wish were different? Sincerely appreciate your responses to these questions, thank you. 1) Rebalancing the boat has had a significant impact on the amount of slamming we’ve experienced. It hasn’t been completely eliminated as we’ll still slam every once in a while in really large seas, but it isn’t anywhere close to how frequent it was while we were coming across the Atlantic. In my opinion some slamming is an inevitability in almost all catamarans, unless you have an extremely high bridgedeck clearance, but the Helia (now that we’ve rebalanced) is pretty good and would be even better if we didn’t have so many “amenities” ie weight, on board. 2) We’re both happy with our choice of the Helia and I still think it is one of the best offerings on the market. The only other boat we seriously considered was a Leopard 46, but decided against it since they had stopped manufacturing them when we purchased our boat. 3) The first two things I’d change are big ones. The way the mainsail is attached to the mast (needs more intermediate cars from the factory) and the design of the davits. I haven’t heard anything about any modifications of the mainsail, but the new Helia Evolution is coming out with a revised davit design that does look better. As for the third thing, it would probably be the factory navigation light setup. Having the stern light inside the cockpit really bothered me, and I still don’t understand the lack of an option to have a tricolor at top of the mast from the factory (at least at the time of our purchase!). Always happy to help! Let me know if you have any more questions! Excellent review and appreciate the details. I am curious about the wave slapping as this would be a show stopper for me. Are you hopeful, that with less weight it might reduce? Have you compared the bridge-deck clearance factory spec to what you now? AYC has an article specifically on this for the FP. I continue to be impressed by AYC. However, if the FP is noisy at normal seas and normal configuration, then ‘Houston, I have a problem. For our crossing we had over 1,000lb of chain up towards the bow of the boat, which meant she was EXTREMELY bow heavy. We are working on getting rid of all that chain and going with 5/16″ HT chain, as well as reducing the total amount of chain, which will likely save us about 700lb and will hopefully even out the weight distribution on the boat. I haven’t measured our bridge-deck clearance now as we’re still doing work on the boat so things will be changing. However, I do believe that most factory specs are with lightweight (mostly empty) ships so any boat loaded down for liveaboard cruising won’t match the factory specs. I’m definitely hoping that with less weight, we’ll experience less slapping, but I also wouldn’t say that we had a lot of normal seas. Sea state probably averaged about 10’+ for our passage, and with the bow weighted down I think that just exacerbated any slapping issues. I’ll definitely post updates on this as we get back out cruising! Great Helia 44 feedback. With all the improvements you laid out. You will have a GREAT boat to enjoy. Thanks Cotemar! We certainly hope all the improvements will be worth it as they’re taking up lots of time we could be out cruising! On a lighter note, if you guys want to come down to Sarasota to party with my g/f and I email me back! Thanks Brad! We do appreciate things on lighter notes! 🙂 As you can probably tell given my slow response, we’re pretty crazy busy with all of our boat projects. But if we find some free time, we’ll keep you and Sarasota in mind! I too am concerned about the low davits. What are your thoughts on installing an arch at the stern to hang the dinghy on similar to the set-up of the Antares? We are considering getting one of our own in a couple of years. Maybe we should just buy one used and upgrade extensively as you have done. Modifying the davits was something we thought long and hard about. We’re hoping that the setup Amy devised for the bridle will eliminate the problems we had. The arch idea would definitely be doable and I think I’ve seen pictures of an Orana that had that done. For me it’s partially an aesthetic thing as I think that big of a structure off the stern wouldn’t really flow with the look of the rest of the boat. But they may work for you and if so, awesome! Thanks for sharing all of your experiences. These are extremely valuable to those of us who are researching thoroughly before plunking down our dollars. Keep them coming! We have a monohull but really appreciate the detailed critique! Thanks! I wished there were more detailed reviews out there when we were shopping so hopefully this will help someone in the future! Great write up of your Helia. It’s nice to hear the good, bad, and ugly. Too often when people buy something they only talk about the good. I look forward to seeing the hard top. Glad you enjoyed the review. While we really enjoy the boat, she is not perfect and I’m glad I was able to represent all sides in the review. As for the hardtop, we can’t wait to see it either! Great and helpful hints! But I wouldn’t get rid of the 2:1 purchase at the main halyard, as this would impose different forces on the mast, sheave, halyard, etc. The load at the mast head is the same with a 1:1 halyard, with a 2:1 there is less compression on the mast section but not significant enough on a cruising boat and there would be less load on the sheet stopper. 1:1 would allow much faster up and down, with a lot less line in the cockpit, with an electric winch not a big issue. We still need to test out the new intermediate cars and better halyard and if everything works as I hope it will, then we’ll keep it at 2:1. But I’m pretty confident that we’d be okay even if we took it out. I hear your boat just arrived in Brazil so enjoy making modifications of your own!